The perfect party dress! 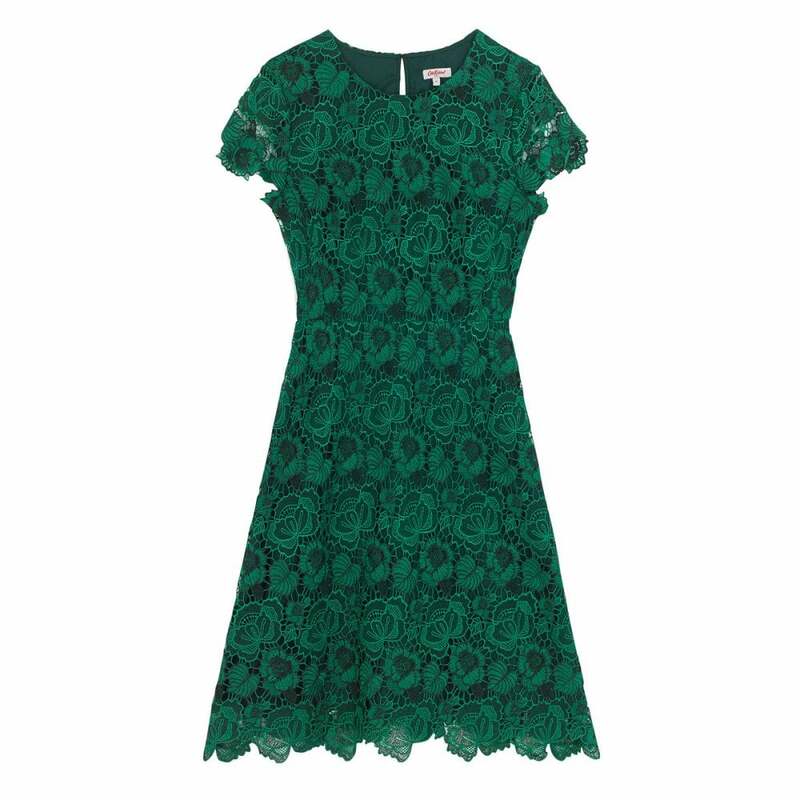 We love this emerald green dress, designed with a heavy lace in an intricate floral design. Created with a fitted bodice and flared sleeve it features flattering capped sleeves.